I have had these old ginseng roots which my late mother-in-law had bought. She had stored them in jars and left them on the shelves where it remained for a long time. The other day I brought down the jar to check on the roots. They were very hard, in fact too hard for my kitchen knives to slice. 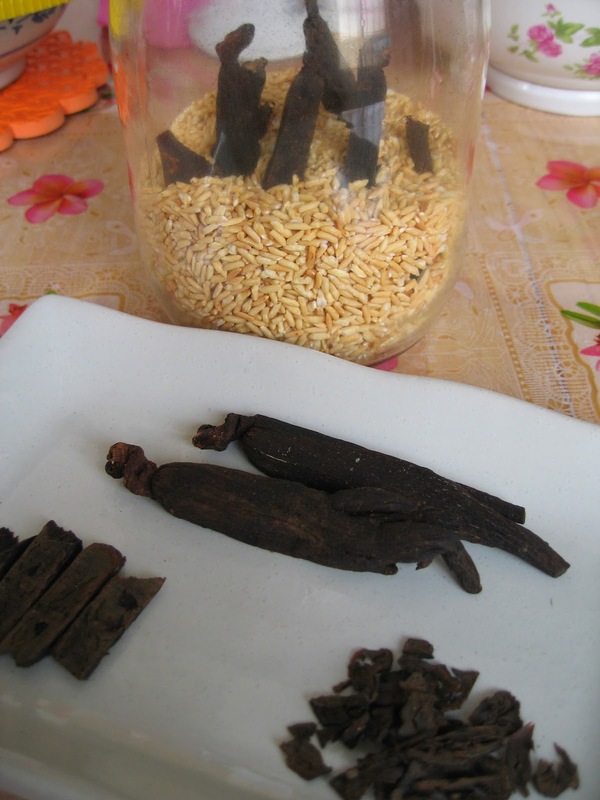 I had to asked for assistance from the shop proprietor selling Chinese herbs to help me cut them into slices.He assured me that the quality of the ginseng roots is still good and to use them sparingly i.e. in small doses in soups and stews as the herbal properties of ginseng is very potent. 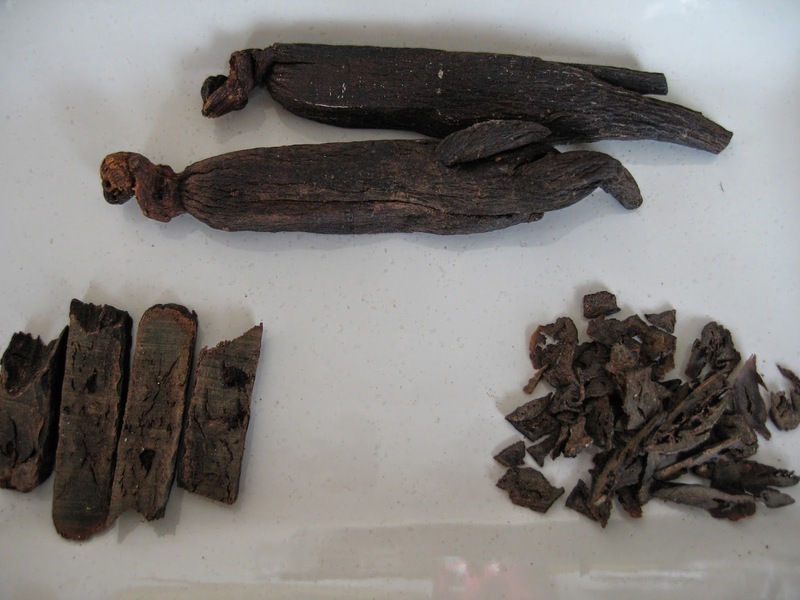 Since I have so many pieces of ginseng roots left, I looked up on its herbal properties. 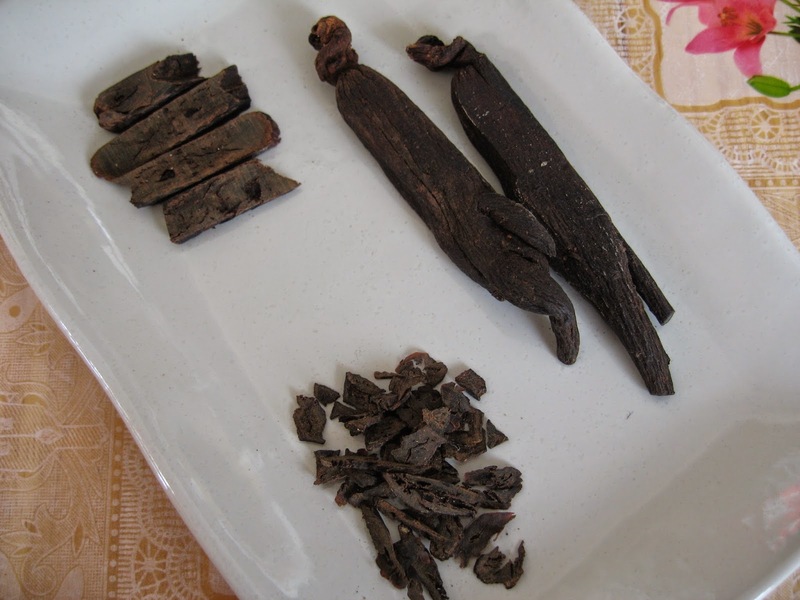 The Chinese herbal books said that ginseng retards ageing and strengthens the immune system. It is good for circulation, improves "qi" and have the power to improve the mental capacity of a person. The herbal books further cautioned that we consume ginseng only in small doses as over consumption of ginseng may bring about side effects like high blood pressure, insomnia, headache and a rise in body temperature. Bottom left : ginseng slices. 1. Dry-fry a bowl of rice grains in a clean pan or wok until the grains turned yellowish. 2. Remove from pan or wok and cool the fried rice grains thoroughly. 3. Ensure the fried rice grains are totally cooled down. 4. 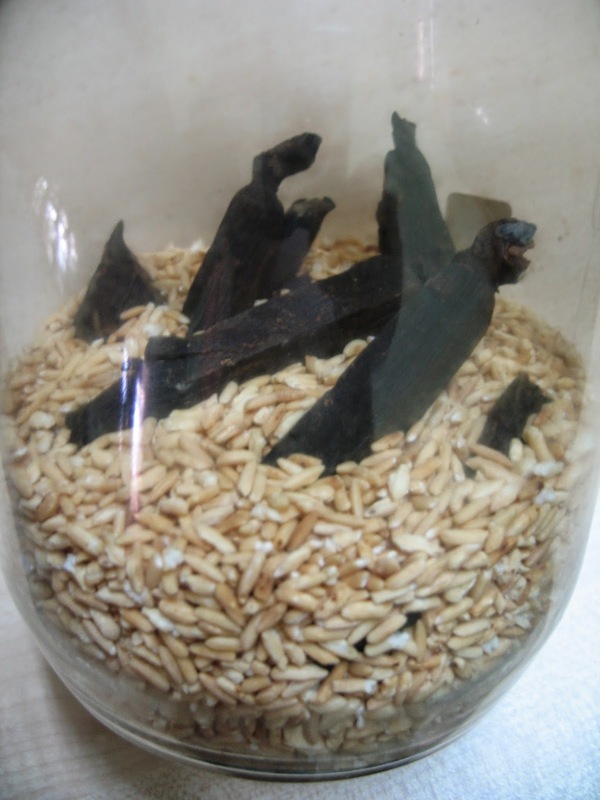 Place the ginseng roots into a jar and pour in the cooled down rice grains. 5. You need to change the fried rice grains on a yearly basis i.e. pour away the old grains and fry another fresh batch of rice grains to store the ginseng roots. 1. 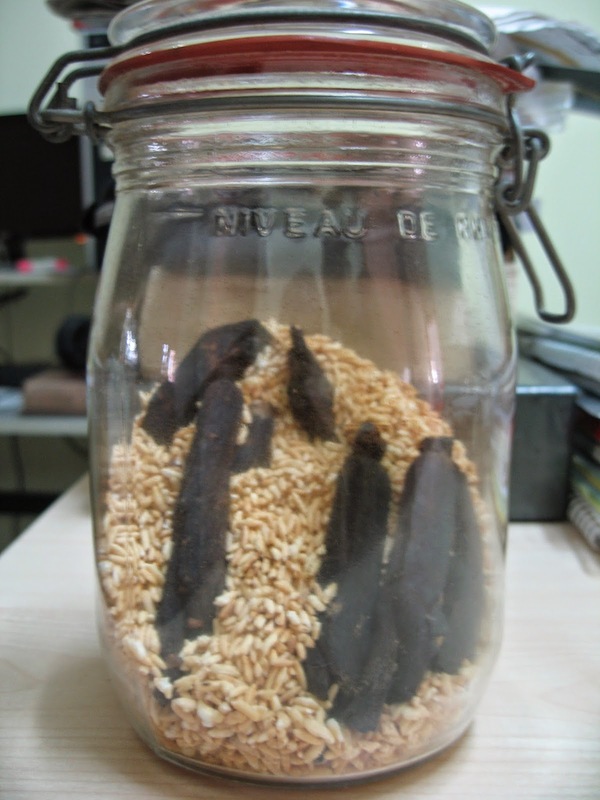 This is an effective way of storing ginseng roots. 2. A method handed down by both my late mother and my late mother-in-law. 3. Actually, the shop proprietor who sliced the roots for me, taught me the same storage method. This is how I stored them : in rice grains which had been pan-fried in a dry wok. These are the remaining stock which have been in storage for close to 20 years. Hi, I bought some certified ginseng and I was told I could store them in the refrigerator for an year. I wanted to confirm.... after boiling it with water to make ginseng tea, can I put them in a ziplock bag and store in the refrigerator? Ginseng must be kept dry. If you plan to consume all of the ginseng that you bought in a short period of time, I supposed storing it in the refrigerator should be all right.